Over the course of the year, we are diving into our Kinship Manifesto, which we believe is the perfect blueprint for finding happiness in simple but meaningful moments. 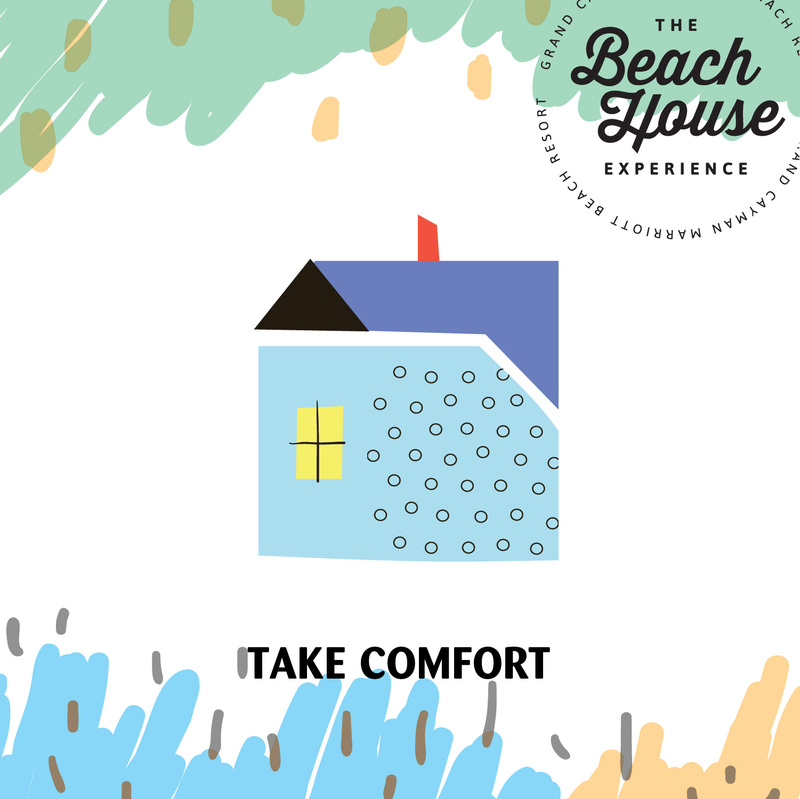 For this blog post, we are sharing our top five tips on how to surround yourself in comfort. At our Beach House, we are all about placing things that we adore throughout our home. These photos and special mementos not only personalise our space, but also offer daily reminders of the people we love, our passions and the places we have been. Fresh flowers provide such a lovely centerpiece to a dining or coffee table. It also adds ambiance to a space as well as bringing natural beauty to a home. Plus, the beautiful scent that stems from fresh flowers can’t be beat! Invite your tribe over for a home-cooked meal. If cooking is not your thing, you can always order take out! Whatever you decide to do, this is valuable time shared with friends and family. Plus, the comforting aromas of your favourite foods always make a cozy atmosphere. We love fireplaces and burning candles – they create such a cozy feel. At our Beach House, we have our own signature candles and scent. Whenever we light one at home, it reminds us of balmy summer evenings spent on the beach. Bonfires and S’mores on the beach are amazing too. We are so lucky to be able to offer this fun activity to our guests twice a week all year round. Adding a cozy nook area to your home can bring that “ahhhh” feeling after a long day. The wonderful thing about this area is that it can be anywhere – from a comfortable chair by a window where you can sit and daydream or a couch full of pillows and blankets where you can read. Just make the space yours and make it as comfortable as possible.